So much of what we lose when we use credit or debit cards takes place behind the scenes. We don't actively see the algorithms being run to predict our future behavior. We don't have a seat at the table as marketers pore over the reams of personal data we so willingly turned over to them, for free, to enable them to better separate us from our wealth. Your cash card leaves a wide data trail detailing your buying preferences, used by merchants and advertisers to entice you into more buying. How convenient. These thoughtful companies even offer reward points every time you use the card. Cash offers the ultimate in privacy. Your cash card might as well be a walking billboard. 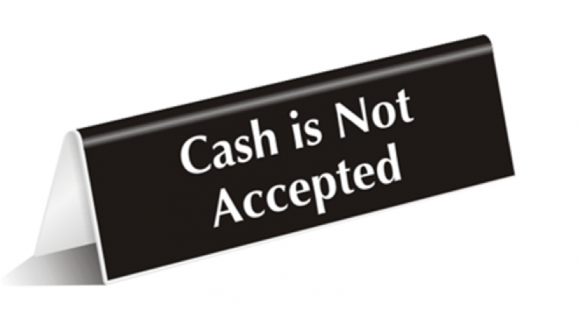 Cash in hand has always represented freedom, and that is now being eroded at an alarming rate. Private, legal transactions will become illegal or impossible in a cashless society when every financial transaction is being monitored and scrutinized. Without cash, people become purely dependent on big banks. What happens when the banks fail? During times of crisis, banks could shut their doors and prevent depositors from accessing their money. The lack of genuine cash shifts the power from the individual to corporations and government authorities. If we are relinquishing freedom and power for the convenience of cashless transactions, perhaps we need to consider who is on the receiving end. Banks and governments are amassing the ultimate power by gradually removing the last vestige of freedom – cash. Those who are ready to give up their cash will surely pay the price.